It was a sunny Monday morning in Castellon, Spain, when 36-year-old Alfredo walked into Dr. Fernando Rojas-Vizcaya’s clinic for his first appointment. Alfredo, a school teacher and art lover, contacted Dr. Rojas-Vizcaya and his team after a restaurant accident where he bit into a piece of bread and suddenly he found himself with a fractured tooth and in pain. When Dr. Vizcaya examined Alfredo, he discovered a vertical fracture of tooth 46. The treatment plan included extracting the tooth and replacing it with an implant. The challenging part of the treatment was to restore the position of the gingival contour and the inter-proximal papillae, i.e. make the restoration look like a natural tooth. 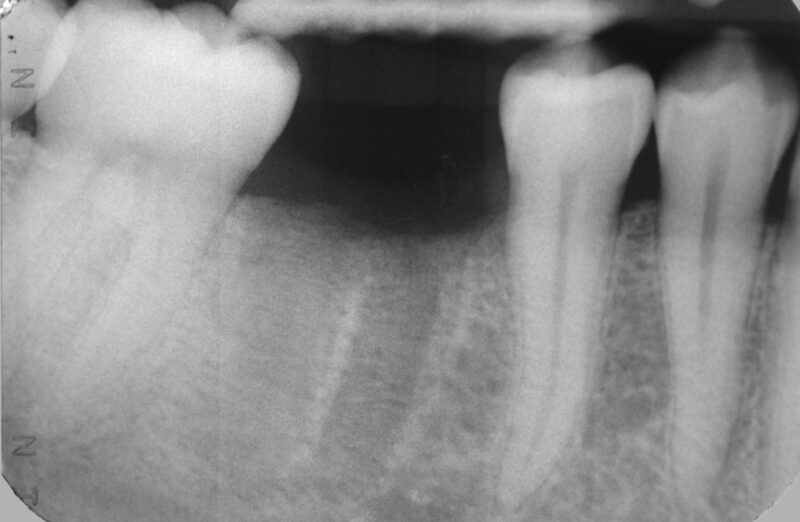 The x-ray showed a typical vertical root fracture and the tooth was extracted. After 8 weeks, the amount of bone formation in the socket allowed for implant placement. 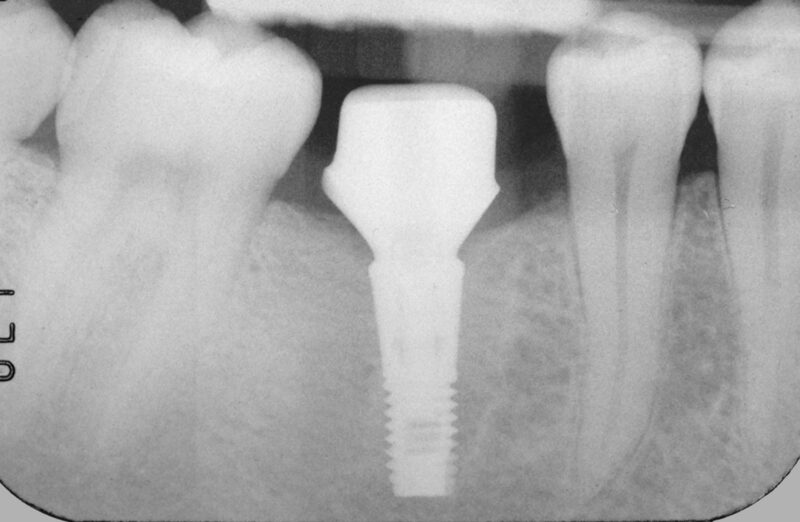 The implant was placed in a position to preserve the buccal bone and to support the soft tissue. The healing abutment was removed after 6 weeks and a final impression of the implant position and the shape of the soft tissue was sent together with the opposing model to the dental laboratory. 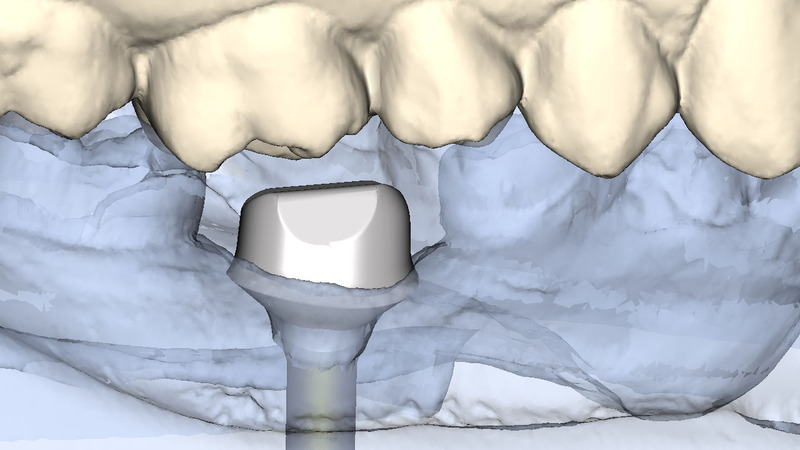 The abutment was virtually designed with the emergence width of the replaced molar and produced in gold-shaded titanium, with a titanium nitride coating, for esthetics. The final implant restoration has the finishing line close to the gingival margin, allowing for easy removal of excess cement in the subgingival area. The restoration is now ready and ready to be delivered to Alfredo. 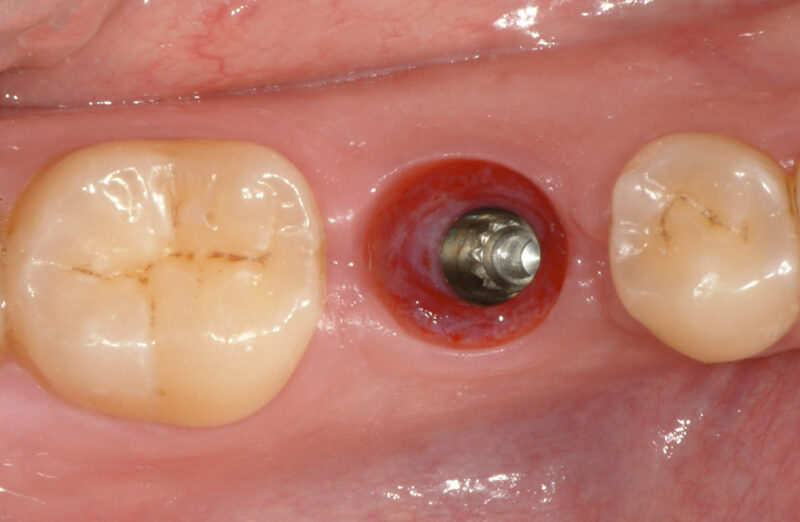 Was Dr. Vizcaya able to obtain his treatment objective of a natural-looking tooth that delivers function as well as esthetics for the patient? And what does Alfredo and his tooth restoration look like 8 years after treatment? Read more about the dentist behind the treatment and his passion in life here.